Saudi cinema - the reel deal? A year since cinemas were reintroduced to the Saudi Arabian market, Ian Donegan assesses if the adoption rate has gone according to plan. ON April 18, 2018, Saudi Arabia was introduced to its first cinema experience in 35 years in the form of the Marvel superhero movie Black Panther. 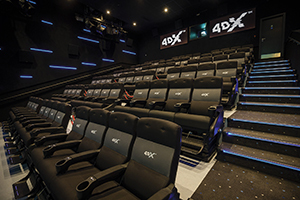 Of course, as one of the original anchor attractions, the return of the cinema offers a great deal of opportunity to the amusement industry, especially as they are being added most commonly to malls where entertainment sites already exist in abundance.